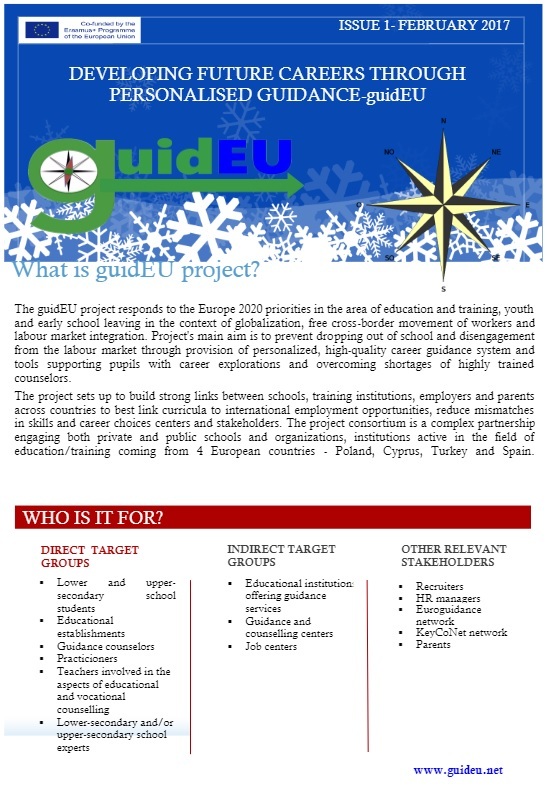 The project Developing Future Careers Through Personalised Guidance – guidEU responds to the Europe 2020 priorities in the area of education and training, youth and early school leaving in the context of globalization, free cross-border movement of workers and labour market integration. The project’s main aim is to prevent pupils’ disengagement from schools through provision of easy-accessible, high-quality personalised guidance and tools to facilitate transition into the next stage of education and employment, while valuing diversity of labour market and international career opportunities. The Benchmark Report will need to incorporate the contributions of key publications in the field of career guidance. For this purpose it is required from all project partners a contribution for the identification of key articles/ books/ institutional documents/ reports /other (e.g. 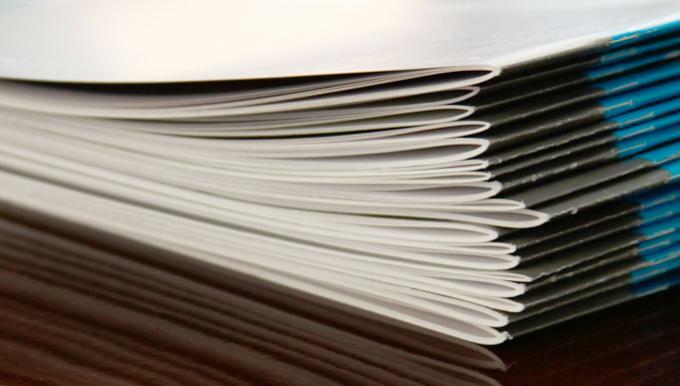 law regulations) to include in the literature review, in order not to leave out any relevant literature for the context and action of all project members. Each project partner is asked to identify and analyse at least 10 manuscripts – articles/ books/ institutional documents/ reports/ other e.g. law regulations (preferred: 5 English-language and 5 national-language) that are relevant for career guidanceThe tables must be sent to OIC Poland by January 15th, 2017. The selected manuscripts will form the database for the above mentioned tables.